It’s always nice to see regional businesses engaged in volunteer work and offering donations where they’re clearly needed. Construction companies are in a unique position to give back to their communities. When you consider the high level of skills combined with their economic influence, buying power and business connections, you can see how valuable construction industry people can be to their neighbors. Offering some of our resources to help needed structures get built when they otherwise wouldn’t, can be very gratifying. Some of these projects are highly visible or promoted but many of them remain relatively obscure. 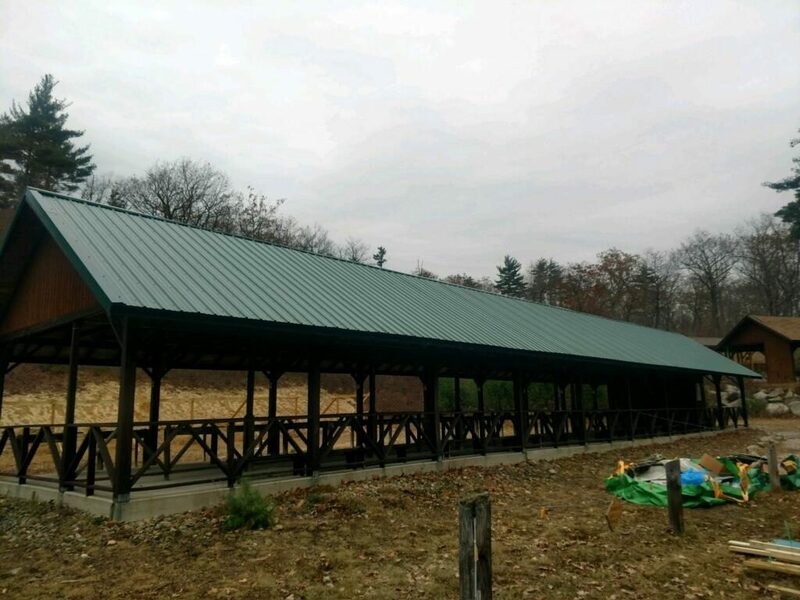 A perhaps humble, yet notable volunteer project for the Daniel Webster Council of Boy Scouts of America was recently completed at the Griswold Scout Reservation in Gilmanton, New Hampshire. 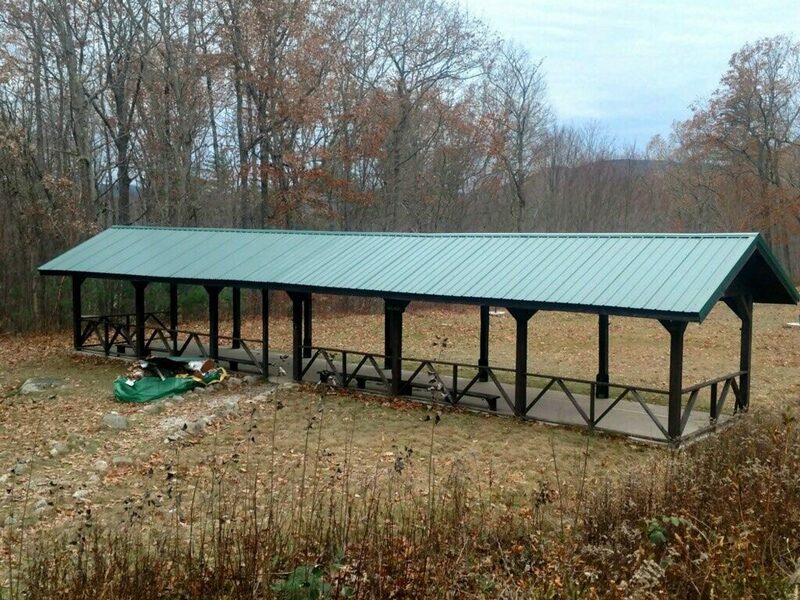 One aspect we love about this project is that it brought several organizations, both public and private, together to build an open-air gun safety training range for New England area Scouts to learn the fundamentals of responsible air gun and firearm use. Spearheading the project, attorney Kelly Gagliuso of Gagliuso & Gagliuso, PA in Merrimack, NH assembled a willing and collaborative team from a few diverse organizations across the state. New Hampshire’s US Army Reserve 716th Engineer Company donated much of the needed labor and constructed the roofs over the loading/firing stations. Meridian Construction provided expertise, donated $1,500 cash and partnered with local building supplier, Winnipesaukee Lumber Company, to save an additional $3,000.00 in overall materials costs. This important little construction project was made possible only by combining all the efforts and resources of four local organizations. Now our New England area Boy Scouts have a better outdoor facility for practicing marksmanship as well as learning about the responsible use of guns and gun safety. 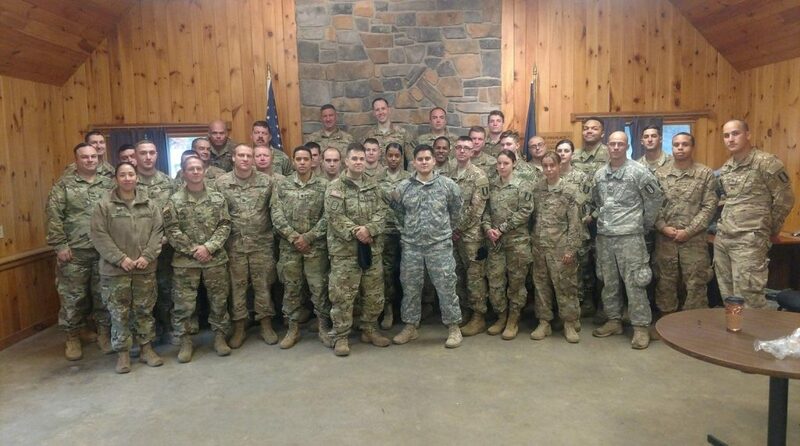 Our sincerest thanks go to Attorney Gagliuso, the fine men and women of the US Army Reserve, Winnipesaukee Lumber and the Daniel Webster Council for being a pleasure to work with.